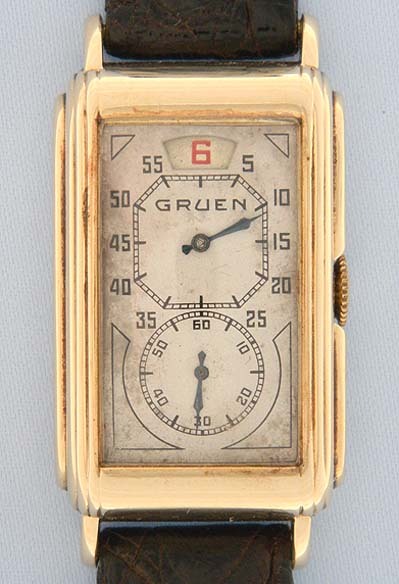 Fine Gruen 14K gold jump hour 'Prince' doctor's vintage wrist watch circa 1930. Original silver dial with black markings, blued steel hands, and aperture for the jumping digital red hour. Stepped curved case with downward sloping lugs. 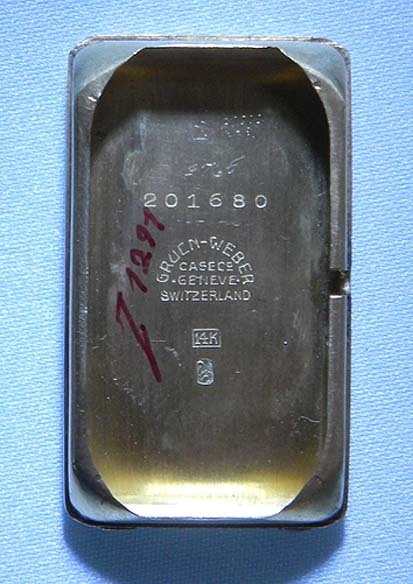 Plain unengraved back. 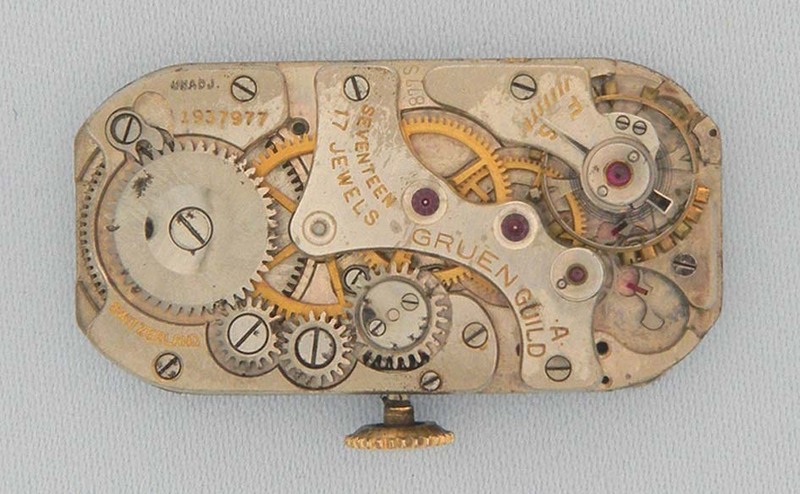 Nickel 17 jewel movement from the same source that supplied identical movements to Rolex during this period. Handsome.